In the moments after the bicycle accident, Professor Chandra doesn't see his life flash before his eyes, but his life's work. He's just narrowly missed out on the Nobel Prize (again) and even though he knows he should get straight back to his pie charts, his doctor has other ideas. All this work. All this success. All this stress. It's killing him. He needs to take a break, start enjoying himself. 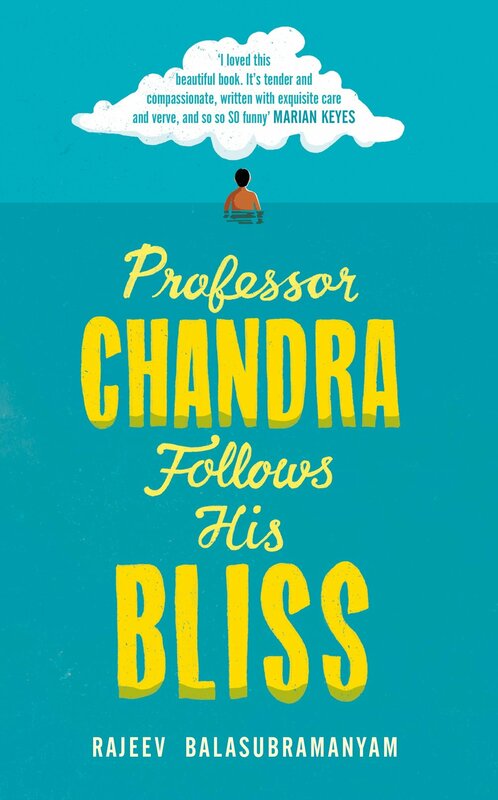 In short, says his doctor (who is from California), Professor Chandra should just follow his bliss. He doesn't know it yet, but Professor Chandra is about to embark on the trip of a lifetime. Rajeev Balasubramanyam was born in Lancashire and studied at Oxford, Cambridge and Lancaster universities. He is the prize-winning author of In Beautiful Disguises. He has lived in London, Manchester, a remote Suffolk beach, Kathmandu and Hong Kong, where he was a Research Scholar in the Society of Scholars at Hong Kong University. He was a fellow of the Hemera Foundation, for writers with a meditation practice, and has been writer-in-residence at Crestone Zen Mountain Center and the Zen Center of New York City. His journalism and short fiction have appeared in the Washington Post, The Economist, the New Statesman, London Review of Books, Paris Review, McSweeney's and many others. He currently lives and works in Berlin.